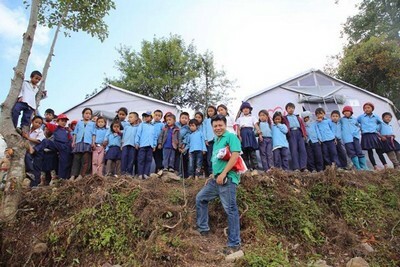 We are nearing the completion of almost all of our planned Temporary Learning Centres (you will remember from our last update that we had planned to build almost 100 such centres), with 12 schools left to work in over the course of the next few weeks. 3 temporary hostel facilities setup to ensure that children do not have to traverse dangerous terrain to get to school. 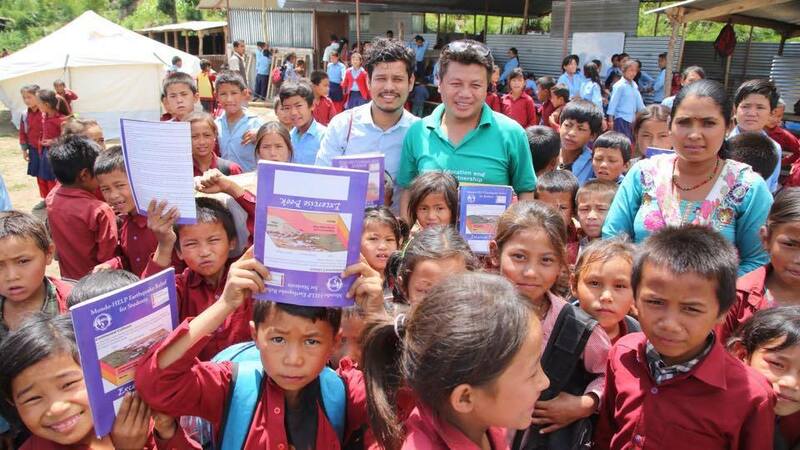 20,000 exercise books delivered to over 6,500 children across 40 schools. 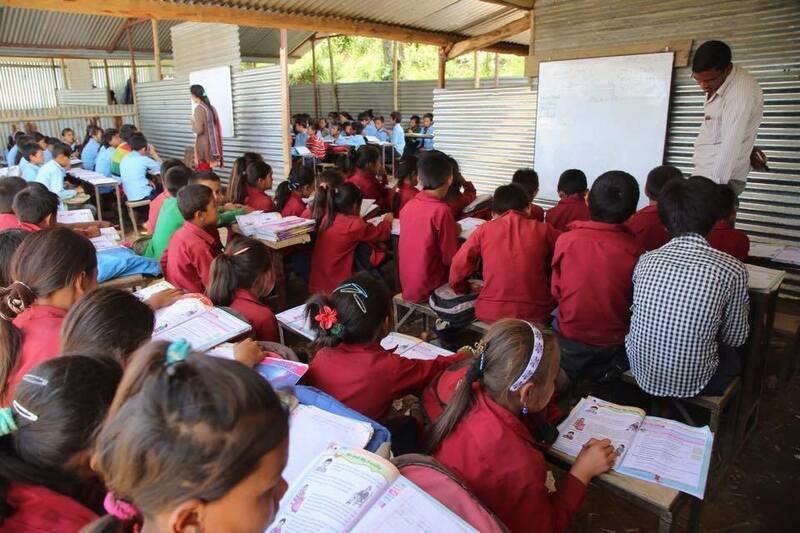 100s of additional supplies such as whiteboards for our Temporary Learning Centres. 1000s of shelter kits distributed to build temporary monsoon-proof shelters for displaced families across the region. More than 40 large solar panels up and running across schools and vital points in the region, with plenty of smaller panels also up and running. And, most important of all, from the pictures we have received, some very happy children back in school! The valley will soon be hunkering down for the monsoon, but our Phase II work is nearly complete. Once the monsoon rains ease and the ground becomes less saturated with rainwater, we will commence our Phase III re-building project. We will use the monsoon season to put together ambitious plans for new classrooms, toilets and other buildings to improve education across the valley!